Links to non-Sprint Moving Service websites. Personal information is information that is associated with your name or personal identity. Sprint Moving Service uses personal information to understand better your needs and interests and to provide you with better service. Once you choose to provide us with personal information, you can be assured it will be used only to support your customer relationship with Sprint Moving Service. We take seriously the trust you place in us. Sprint Moving Service will not sell, rent or lease your personal information to others. 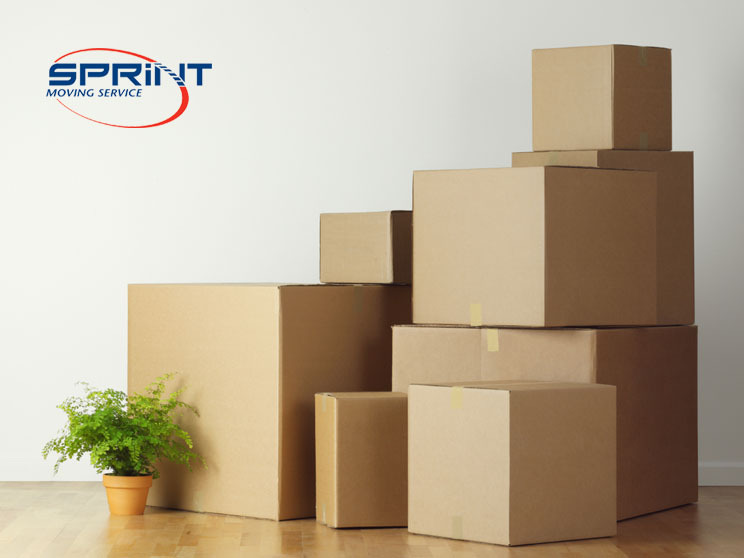 On some Sprint Moving Service websites, you can order products or services, request information, subscribe to marketing or support materials, register yourself or your Sprint Moving Service products, or apply for a job at Sprint Moving Service. The types of personal information you provide to us on these pages may include name, address, phone number, e-mail address, user IDs and passwords, billing and transaction information, credit card information, contact preferences, educational and employment background, and job interest data. Non-personal information is data about usage and service operation that is not associated with a specific personal identity. Sprint Moving Service collects and analyzes non-personal information to evaluate how visitors use the Sprint Moving Service websites. Sprint Moving Service is committed to protecting the privacy needs of children and we encourage parents and guardians to take an active role in their children’s online activities and interests. Sprint Moving Service does not knowingly collect information from children under the age of 13 and Sprint Moving Service does not target its websites to children under 13. Sprint Moving Service uses your personal information to provide you with services and to help us better understand your needs and interests. Specifically, we use your information to help you complete a transaction or order, to communicate with you, to provide service and support, to update you on services and benefits, to personalize promotional offers and to personalize some Sprint Moving Service websites. Occasionally we may also use your information to contact you for market research regarding Sprint Moving Service products or services. We will give you the opportunity to choose your privacy preferences regarding such communications (see section 7, “Your privacy preferences and opting out”). Credit card information is used only for payment processing and fraud prevention. Sensitive personal information is collected only to facilitate our financial service providers’ credit decisions and will be shared with them only with your permission. Credit card information and sensitive personal data are not used for any other purpose by our financial services providers or Sprint Moving Service and will not be kept longer than necessary for providing the services, unless you ask us to retain your credit card information for future purchases. All Personal data collected online may also be combined with information you provide Sprint Moving Service. Personal data given to Sprint Moving Service may be transferred across state and country borders for the purposes of data consolidation, storage and simplified customer information management. Non-personal data is aggregated for reporting about Sprint Moving Service website usability, performance and effectiveness. It is used to improve the customer experience, usability and site content. Sprint Moving Service contracts with third-party service providers and suppliers to deliver complete products, services and customer solutions described in “How we use your information.” Suppliers and service providers are required to keep confidential the information received on behalf of Sprint Moving Service and may not use it for any purpose other than to carry out the services they are performing for Sprint Moving Service. These service providers may change or we may contract with additional service providers to better accommodate our customers. Sprint Moving Service will not share personal information with any other third parties without your permission, unless required by law enforcement action, subpoena, or local law. Sprint Moving Service or its related entities could merge with or be acquired by another business entity or some or all of their respective assets could be acquired. If such a combination or acquisition occurs, Sprint Moving Service will make every reasonable effort to notify you in the event we share with the merging or acquiring entity some or all of your personal information to continue serving you. Sprint Moving Service gives you the choice of receiving a variety of information that complements our products and services. You can subscribe to receive certain product- and service-specific information and Sprint Moving Service marketing communications. Sprint Moving Service communications may include new product information, special offers, or an invitation to participate in market research. 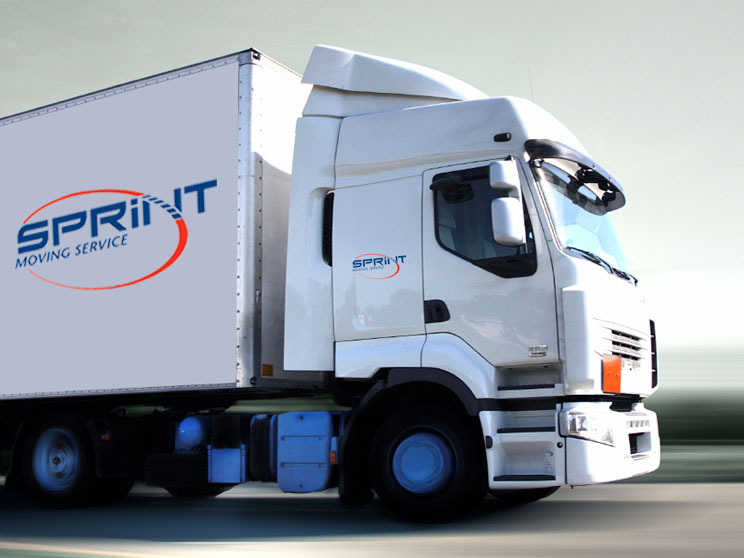 We give you a choice regarding delivery of Sprint Moving Service communications by postal mail, e-mail and telephone. You can make or change your choices at the data collection point. Please refer to section 7 for further instructions. We will make every effort to honor your preferences. This option does not apply to communications for the purpose of administering order completion, contracts, support, product safety warnings or driver updates. Sprint Moving Service will not use your personal information for a different purpose than the one stated when you provided your data. Examples of unrelated uses include sending communications about special offers, product information, and marketing messages. You can, however, choose to receive these types of non-subscription communications. Select the e-mail “opt-out” or “unsubscribe” link, or follow the opt-out instructions included in each subscription communication Return to the Web page(s) where you originally registered your preferences and follow the opt-out instructions. Write to the Sprint Moving Service Privacy Office – be sure to provide your name, e-mail and postal address, and relevant information about your Sprint Moving Service subscriptions and registrations. Certain Sprint Moving Service services are linked with those from unrelated third-party companies, some which offer you the option to share with both Sprint Moving Service and the third party personal data you provide. We will not share your personal information with those third-party companies unless you make that choice. Sprint Moving Service strives to keep your personal information accurate. We have implemented technology, management processes and policies to maintain customer data accuracy. We will provide you with access to your information, including making reasonable effort to provide you with online access and the opportunity to change your information. To protect your privacy and security, we will also take reasonable steps to verify your identity, such as a password and user ID, before granting access to your data. Certain areas of Sprint Moving Service’s websites may limit access to specific individuals through the use of passwords and other personal identifiers. Sprint Moving Service is committed to protecting the information you provide us. To prevent unauthorized access or disclosure, to maintain data accuracy, and to ensure the appropriate use of the information, Sprint Moving Service has in place appropriate physical and managerial procedures to safeguard the information we collect. Physical, electronic and managerial procedures have been employed to safeguard the security and integrity of personal information. Billing information is encrypted whenever transmitted or received online. Personal information is accessible only by staff designated to handle online complaints or requests. All Sprint Moving Service agents and contractors with access to personal information obtained on the Sprint Moving Service web sites are also bound to adhere to this policy. If there are updates to the terms of Sprint Moving Service’s Online Privacy Statement, we will post those changes and update the revision date in this document, so you will always know what information we collect online, how we use it, and what choices you have. For material changes to this Statement, Sprint Moving Service will provide notification to affected customers. Sprint Moving Service a division of Sprint Delivery Service Inc.